Did Jesus Really Raise Lazarus from the Dead? Is the story of the raising of Lazarus (John 11:1-44) a true story or symbolic? 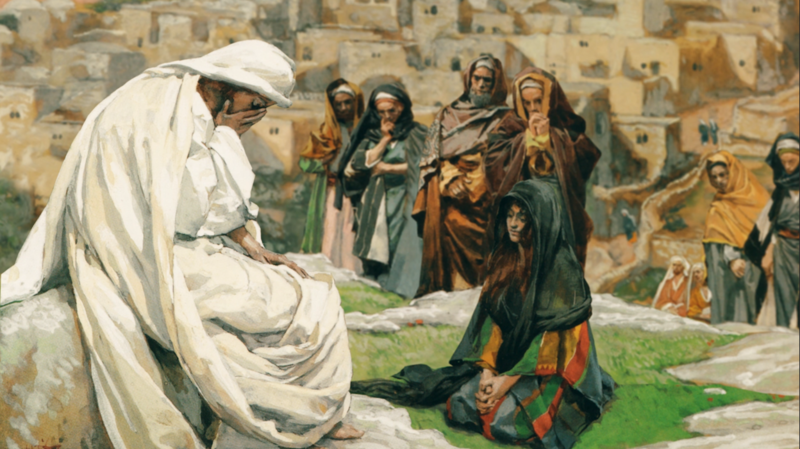 Why are the synoptic Gospels silent with this major story in Christ’s life? This account is undoubtedly historical, in contrast to the parables of Jesus, which are fictional stories meant to teach about real-life events. The Church has never doubted the historical nature of this account, which is a type of Christ’s own rising from the dead. The synoptic authors’ omission of this event does not cast doubt on its historicity. Consider that all the Gospel writers have their unique features. For example, only Luke reports on the road to Emmaus account (Luke 24), which includes what is commonly understood to be the first post-Resurrection Mass (CCC 1329), and yet the Church doesn’t question its historicity. Previous PostWhich Is the Earliest Version of the Our Father? Next PostWould God Have Sinned in Having Isaac Killed?